Meet some of our graduates from India and hear their stories about where VanArts has led them in their careers. 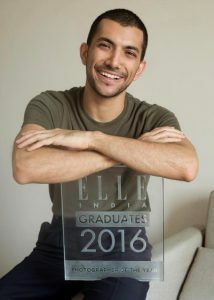 Professional Photography graduate Porus Vimadalal, now based in Mumbai, was named Photographer of the Year in the 2016 ELLE India Graduates show for the fashion industry. Porus has been shooting since 2012 for commercial clients GQ, Vogue, Harper’s Bazaar, Grazia, Cosmopolitan, Marie Claire and many others.